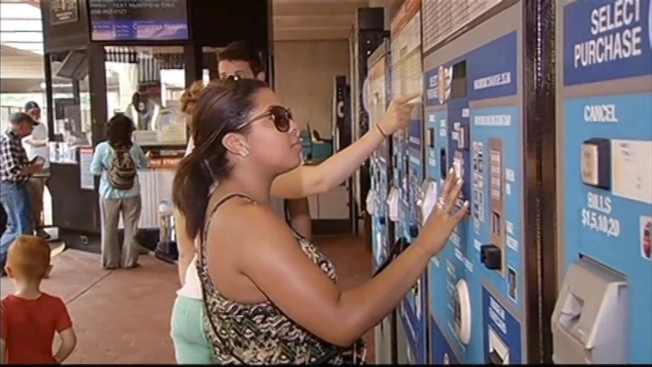 Metro said Wednesday that it's on track to end the use of paper farecards by early next year. The transit agency has been moving to shift use to SmarTrip cards since 2009. About 90 percent of riders already use SmarTrip cards. While many users are tourists, some riders, including Dorian Jackson, say they like the paper and don't want anything to do with a SmarTrip card. "...[B]ecause I am going to lose it," Jackson said. "A lot of people will lose it. Me, I will lose it eventually." Metro plans to launch a new campaign to get everyone ready. To continue moving forward, though, Metro's board will have to approve a Title VI equity analysis that shows there is no "disparate impact or disproportionate burden" on minority and low-income riders. The transit agency said that based on a staff analysis, the end of paper farecards on Metro wouldn't have an unfair impact on those groups. The paper cards charge an extra dollar in fare each time they're used, while SmarTrip cards have a one-time fee of $2. SmarTrip cards also allow for free Metrobus transfers and discounted transfers from Metrobus to Metrorail. Metro said the retrofitting of fare vending machines to sell SmarTrip cards is anticipated to be completed by next January. Sales of paper farecards would end that same month; riders would be able to trade in the paper cards through June 2016.